The widespread digitization of financial services is causing large-scale and sweeping transformations across various facets of the business, creating new growth opportunities but also new challenges and inherent risk. In the insurance sector, particularly, digital transformation is driven by new competitive threats, ongoing cost pressures, aging technology and increasing regulatory requirements. Put all together, there is a huge opportunity to modernize, to create new business models, acquire customers on new channels and create competitive and compelling customer experiences. insurance market released $1.5 trillion dollars in paid claims in the U.S.
legitimate claims to their accounts. As the use of digital channels in the insurance industry becomes more prevalent, fraudsters turn to social engineering, malware and remote access attacks to fool unwitting victims. American family $400-$700 in increased premiums. This phenomenon is not limited to the U.S., however. Insurance industry estimates generally put fraud at about 10-15% of the global insurance industry’s incurred losses and adjustment expenses each year. 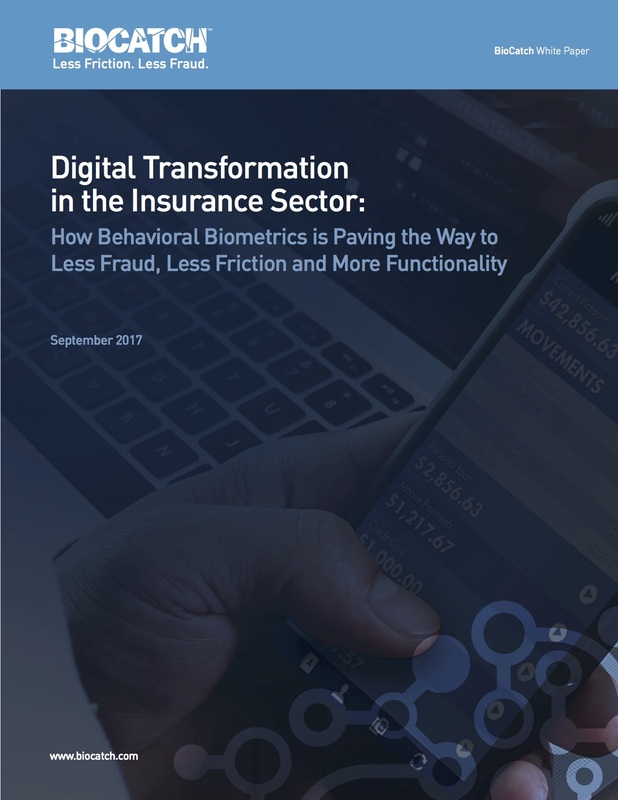 Insurance fraud can have a detrimental effect on companies and organizations in numerous areas, including operational, social and psychological. While direct fraud losses are significant, the long-term effect on customer and investor confidence can be much worse. Indirect losses caused by legal action, negative publicity and other reputational damages can persist and amount to millions of dollars. Download the white paper to keep reading.